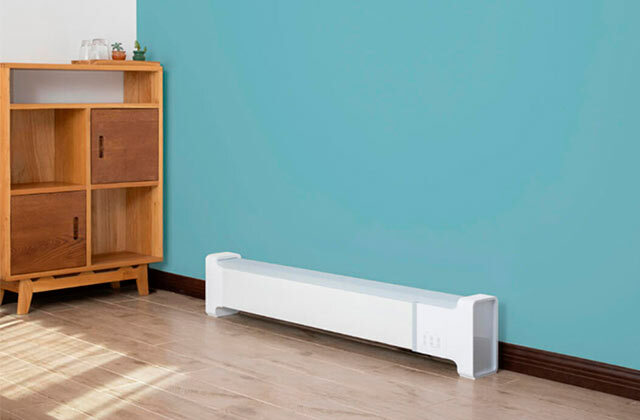 The device boasts a built-in humidity sensor that adjusts the operation of the fan automatically to support needed humidity level. It's possible to choose between 60% and 90% RH options. Back draught flaps seem a bit flimsy. 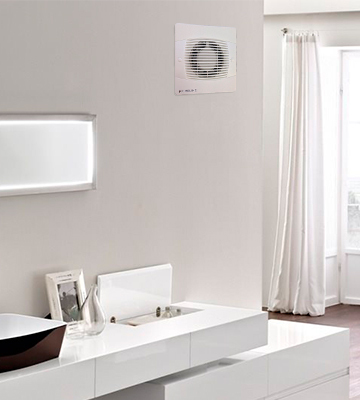 The Envirovent SIL100T is a powerful extractor fan you need for providing fresh air in a large bathroom. Easy installation and compatibility with standard 100 mm ducting allows you to use the device soon after you unpack it. Unique draught shutter not only prevents the appearance of draughts but also makes the operation of the fan quieter. It also protects the motor and impeller from dirt. With the ability to be installed on the wall and ceiling, this Airflow iCON ECO 15 fan will definitely find its place in your bathroom. All you need for installation comes in the box. Thanks to the ability to choose one of two operating speeds, you can use this tool for small as well as mid-sized rooms. The device isn't very powerful on the lowest setting. Whether you need a waterproof extractor fan to place in a water closet or a bathroom, this Xpelair model will meet your needs. This powerful device in a stylish casing will handle humid air effortlessly. The coating of this fan is made of ABS plastic that ensures durability of the device. The material also looks attractive and is easy to clean. It might take you some time to install the fan. Fast and effective Manrose XF100T is a real catch for people looking for a good fan at a reasonable price. Adjustable timer allows you to set the necessary operating time of the device. Thanks to Over Run timer option, you can prolong the working time of the fan even after you turn off the lights in your bathroom. Some users find this model a bit noisy. Compact size, decent air flow rate, adjustable timer, and affordable price of the Primeline extractor fan make it a great choice for those who want simple and effective device at the same time. 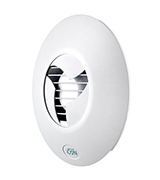 If you’re looking for a silent bathroom fan, this model from Envirovent should pique your interest. Made with the user's comfort in mind, this device will not only perform its main function perfectly but also won’t disturb you and your neighbours (if you have them) with any loud noise. 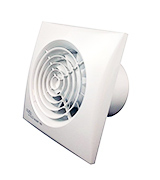 The bathroom fan we've got on hands is called SILENT100 and as you might have guessed from the name, its discerning feature is noiseless operation. The device produces only 26.5 dB when it operates so you won’t feel any discomfort. In addition to being silent, this model can boast great performance. 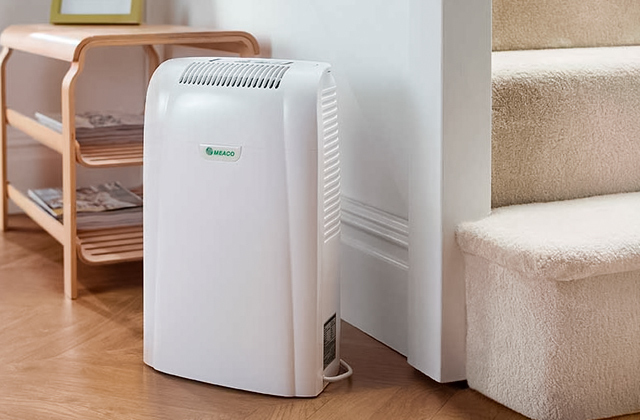 Thanks to the combination of 100-mm duct and a powerful motor, the Envirovent model can remove 26 litres of air per second making it easy to manage humidity even in quite large bathrooms. 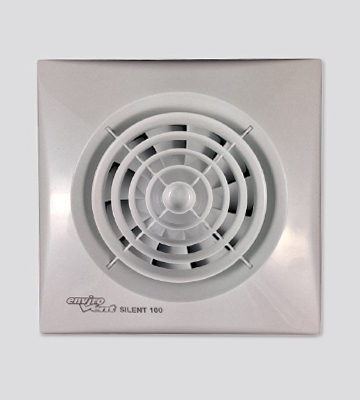 Another feature we’d like to mention about the SILENT100 device from Envirovent is its mounting options – it is suitable for both wall and ceiling installation. 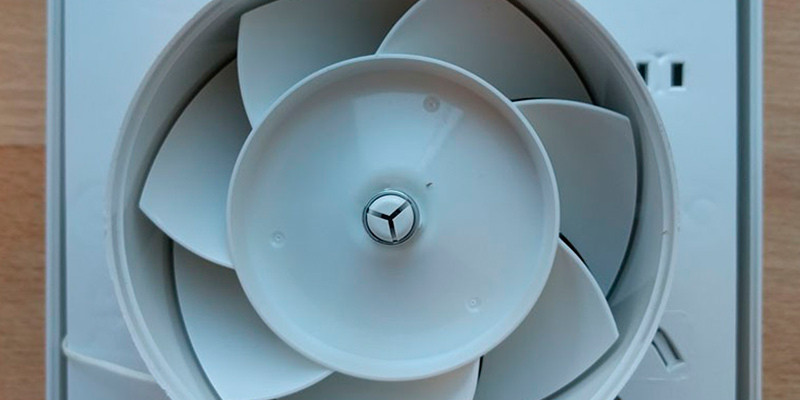 Its dimensions aren’t the largest ones and make 158mm x 158mm so you’ll be able to find a suitable place for this fan in any bathroom interior. And sealed for life ball bearings will provide reliable placement of your bathroom fan. 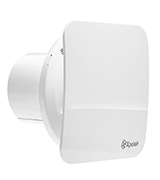 All in all, the Envirovent extractor fan will become a great choice for those who are looking for a silent device for large premises. Don’t hesitate to choose this model to get rid of excessive moisture in your bathroom fast and effectively. To install a bathroom fan properly, it’s important to keep several things in mind. 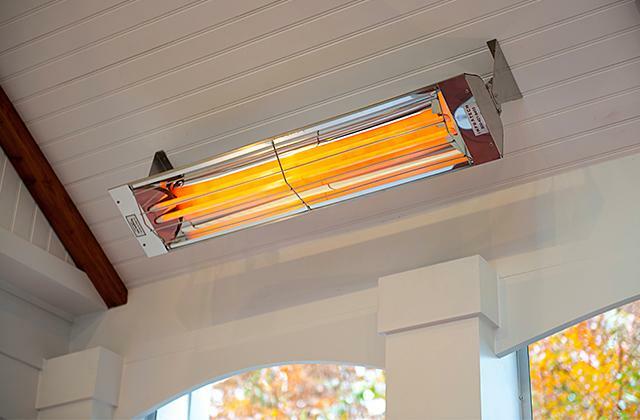 Here are some tips that will help you make fan installation an effortless process. Decide where a fan will be installed – in a wall or ceiling - and choose a model with a suitable mounting type. Compare the dimensions of your home ductwork and duct diameter of a fan you’re going to buy - they should be the same. When installing a fan, make sure it draws excessive air outside, not to your attic (or where else your ductwork can lead). Otherwise, it will simply remove humidity from your bathroom to another part of your house that is no good at all. It will be more convenient if you connect your fan to another switch than light one. You’ll be able to control it remotely and not waste electricity when you only need a fan to work. If you have no clue how to install a bathroom fan (since this is a device that requires you to have some knowledge about electricity), it’s better to fall back on professional help. Whether you need a fan for a small toilet, en-suite, shower room, or bathroom, the Airflow extractor fan will meet your needs. We review the iCON ECO 15 model created especially to handle excessive humidity levels in small premises. Thanks to a 100-mm duct and flow rate of 19 litres per second, air removal becomes a fast process. In addition to great functionality, the iCON ECO 15 from Airflow can please you with the convenience of use. Quiet operation will definitely come to your liking since no one wants the process of air extraction to be noisy. Another advantage of this device is a unique iris shutter that prevents back draughts. We’d also like you to pay attention to the installation features of this model. It can be used either as an in-wall or an in-ceiling fan that makes it easier for you to choose a suitable place for it. 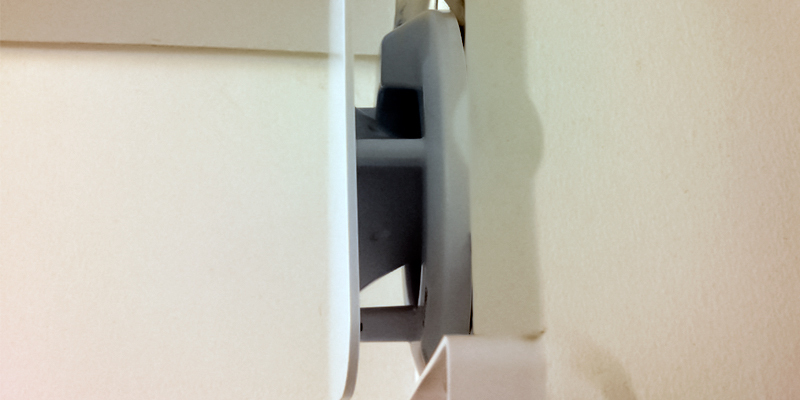 However, note that this fan is created for remote switching and keep it in mind when you install it. The manufacturer has done its best to make the installation process easier and included all necessary screws and fixings in the box. Moreover, cantilever fixing lugs allow for a fan installation on uneven surfaces. Finally, don’t overlook the chance to choose this Airflow fan in one of four available colours – silver, sandstone, chrome, and anthracite. This very choice of colours allows you to install this model in modern as well as classic bathrooms so the Airflow fan will find its place in your interior. You can find really quiet fans on the market. They can be so quiet that you might not even hear how they work. In order to check whether your device operates properly, you can carry out a little experiment. Take a small piece of toilet paper (or paper napkin) and bring it close to your fan. If it stays there without your help, it means that the fan works and produces enough power to remove air from your bathroom. There is another type of bathroom fans. They make a lot of noise so you think they work but it isn’t always the case. The main reason for such an unpleasant situation is improper installation so you want to pay close attention to this process. And don’t forget to check if your new fan works using the abovementioned experiment. 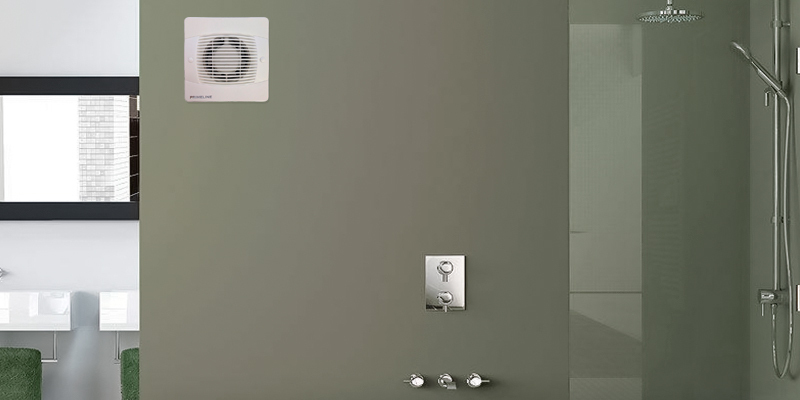 Even the most powerful extractor fans don’t remove humidity from your bathroom in an instant. That’s why it’s recommended to let a fan work for 20-30 minutes after you finish taking a bath/shower. Although the prolonged use of a fan will lead to higher electricity expenses, you hardly want to economize on your health. 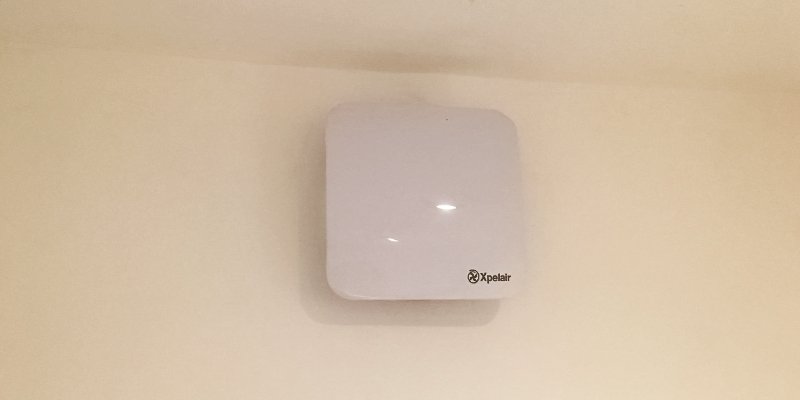 The Xpelair extractor fan is what you need if you want a device that will perform its function faultlessly, produce minimal noise during operation, and add elegance to your bathroom interior at the same time. 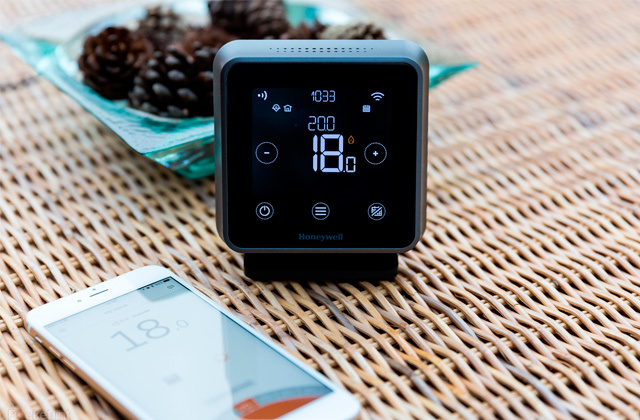 What we liked about this device is that it has two speed options and correspondingly, two noise levels so that you can choose appropriate settings for your very needs. Whatever setting you choose, you can be sure that the appliance works silently thanks to the innovative Ghost Air Movement Technology. 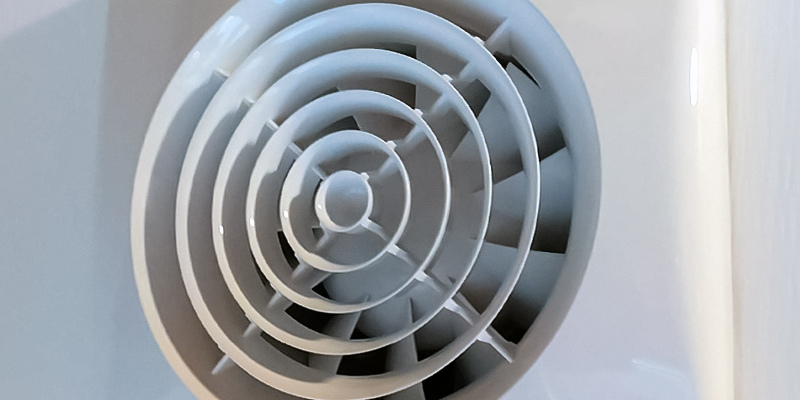 However, even with the ability to choose between two speed settings, we would recommend using this fan in small bathrooms and toilets since working at the air flow rate of 15 l/sec or 21 l/sec, it will take the Xpelair model long time to remove humidity. By the way, you can control the working time of this fan choosing from 30-second to 30-minute options with a timer. Another feature that’s worth your attention is different mounting options. If you want to install this fan on a wall, you’ll be pleased to know that it has three radial fixing points for reliable placement. If you choose to attach this device to the ceiling, quick fit clamps will provide hassle-free installation. 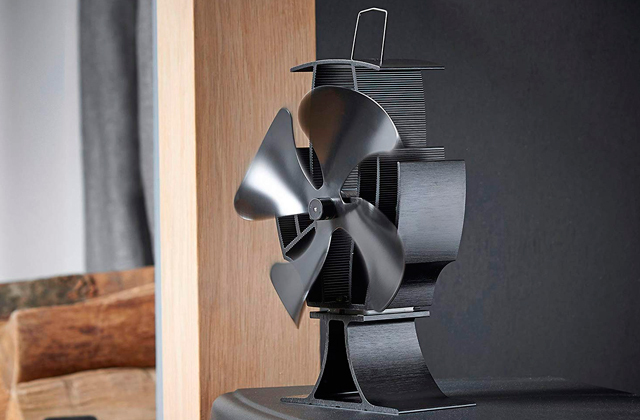 Once you put this extractor fan together, you’ll be surprised with its stylish design. Not only does its smooth facia add elegance to your bathroom but also it is easy to clean. 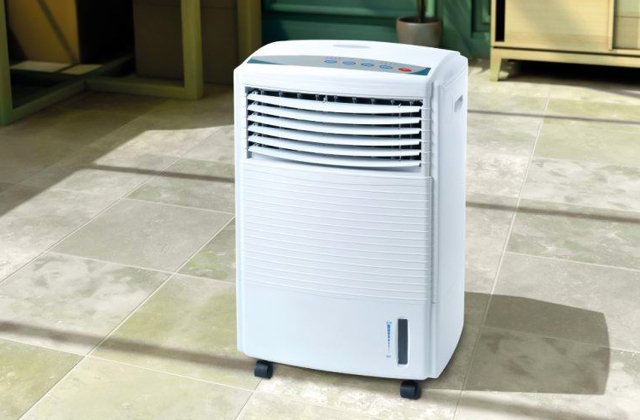 Choose this model and enjoy fresh and healthy air in your bathroom all the time. Since a fan is an electrical appliance, you should turn it off and isolate from mains supply completely before cleaning. To clean a front cover, you need to remove it first. To do it, you need to depress the latch on its underside and pull it off. You can either wipe it with a soft lint-free cloth or wash with warm water. Using strong detergents isn’t recommended since they can damage the outer material of the fan and lead to its malfunction. Using mild soap for cleaning is a sensible decision. Don’t immerse other parts of the fan in water. Let the device dry completely before using it again. The beauty of bathroom fans is that cleaning is the only maintenance needed to provide long and reliable service life of your device. Are you looking for an affordable fan that will perform its functions properly and will handle moisture and odours in your bathroom effortlessly? Then, you might be interested in this Manrose extractor fan. Being able to remove humid air at 23 l/sec rate, this device will become a great choice for a middle-sized as well as a large bathroom. Just like the majority of appliances of the type, this model is suitable for both wall and ceiling installation. This very feature allows you to place the device wherever you find it convenient. The only thing you want to keep in mind is that the manufacturer recommends installing it no lower than at 1.8-metre high from the floor. 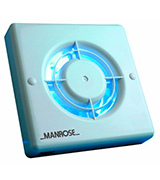 One more handy feature you expect a good fan to have, and this model from Manrose has it, is an adjustable timer. You can set its operating time from 1 to 20 minutes depending on your needs. 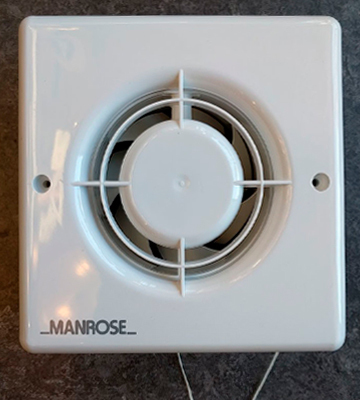 As for the dimensions and design of the Manrose fan, it is a square device measuring in at 163mm x 163 mm that is quite compact and will definitely find its place in your bathroom or toilet. The tool is made of ABS thermoplastic that provides the fan with durability as well as the ability of effortless cleaning. And the white coating of the device will suit any bathroom or toilet interior – both classic and modern one. 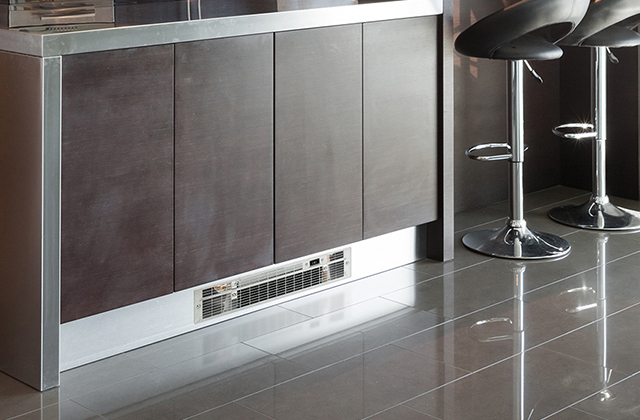 How Quiet is Your Extractor Fan? 40 dB is the sound of a library or a quiet classroom. 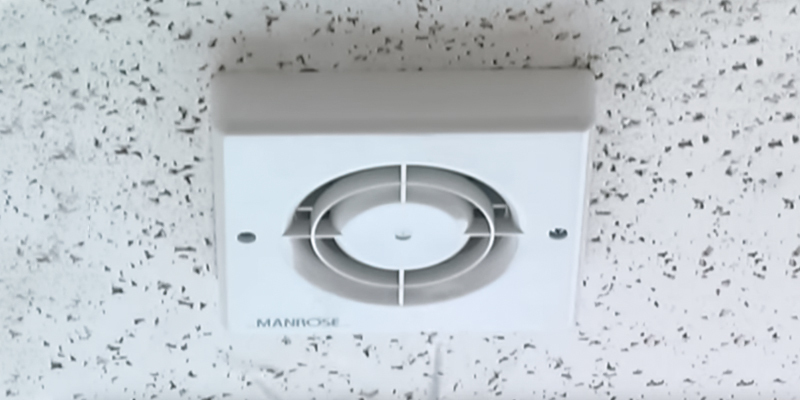 As for the Manrose extractor fan, its noise level is 41 dB. Although it’s not the quietest model you can find on the market, it’s still silent enough in order not to cause any inconveniences during operation. 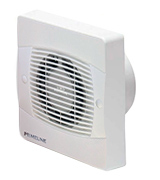 If you’re looking for a simple and affordable bathroom fan, the Primeline PEF4020 might come to your liking. Costing less than the majority of its rivals, this model can still provide you with great results. This device is made in accordance with building regulations of ventilation and has 100-mm duct diameter to fit any ventilation system. As for the external dimensions, they measure 163mm x 163mm and will suit even a small bathroom. However, the powerful airflow of 23 litres per second makes it possible to use it in a middle-sized bathroom. 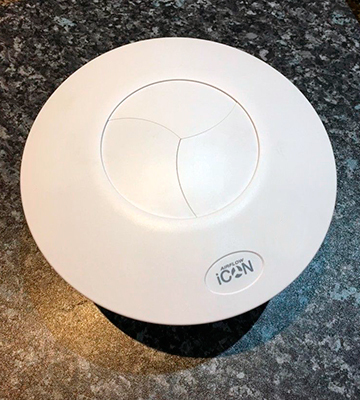 Another feature that adds to the functionality of the Primeline extractor fan is an adjustable timer that allows you to prolong the working time of the fan even if you turn the lights off in a bathroom. We’d also like bring to your attention the noise level of this device. 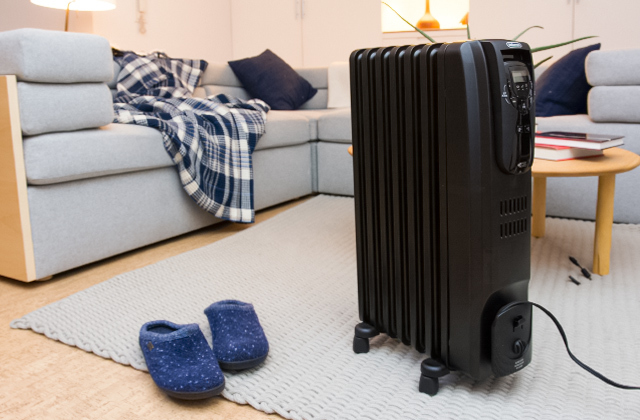 Although it isn't the quietest model you can find out there, the operation noise of about 41 dB is unlikely to disturb you, unless you want a fully silent appliance and would rather pay more. Finally, we’d like you to take notice of a removable fan rack that can be detached effortlessly when there is a need to clean the appliance. All in all, this fan from Primeline is a good and affordable model that performs its functions on a par with its more expensive rivals. Wiring. Check whether wiring in your bathroom is in a proper condition. If you can’t distinguish a good wiring and a bad one, it’s recommended to ask a professional electrician for help. Operation time. As a rule, bathroom fans work several times a day after you (and your family members) take a bath/shower. 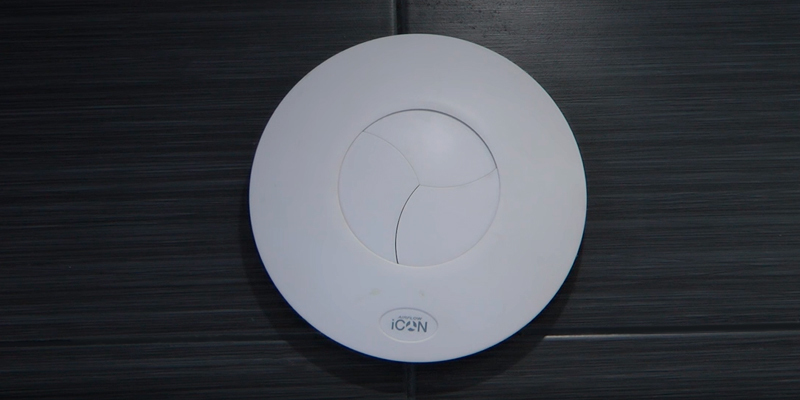 Depending on the humidity level in a bathroom, you might need to turn the device on for a couple of minutes or even half an hour – it’s common operation time of an extractor fan. However, you want to avoid running your fan all the time since it can lead to its overheating and further unpleasant results. Dust. It is one of the reasons of bathroom fan malfunction that can also lead to overheating. That’s why it’s important to clean your device on a regular basis. Age. You definitely don’t want to use a fan that is old and you’re not sure it functions properly. When you understand it’s time to substitute it, don’t waste time but do it rather than putting the safety of your home at risk. What Is a Bathroom Fan? If you want to make your bathroom a more pleasant and functional place, a medicine cabinet will come in handy. And one of the bathroom TVs will make your bathing experience more entertaining. 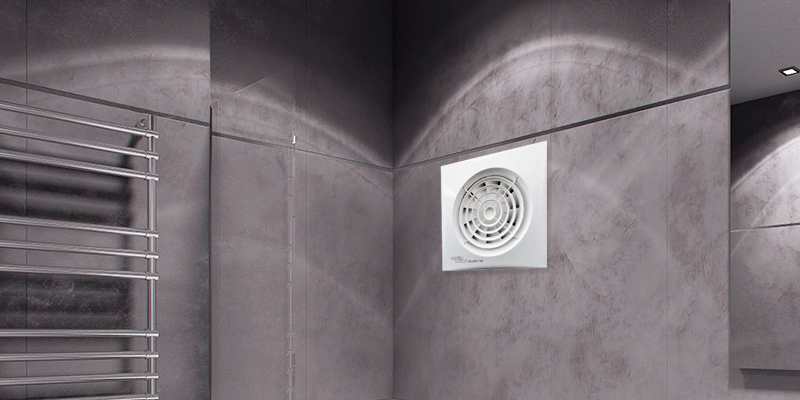 The first thing you want to keep in mind when choosing a bathroom ventilation fan is the airflow it can provide. It’s also important to take into account the size of your bathroom since it influences the airflow capacity you’ll choose. The thing is that the larger your bathroom is, the more airflow capacity your fan should possess. 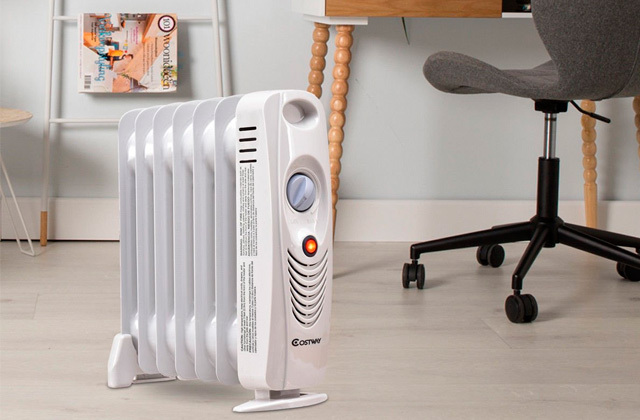 Otherwise, a not very powerful fan won’t remove all humidity and will turn out to be inefficient, and you’ll hardly want to spend about £30 on a tool and some time on its installation to get disappointing results. Another important feature of your potential bathroom fan you want to pay attention to is its noise level. 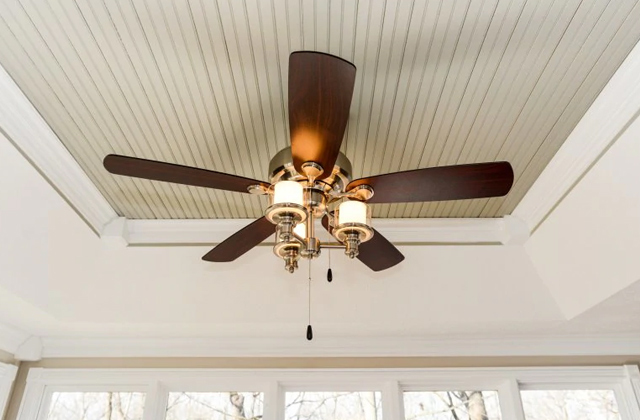 We bet no one wants to listen to the loud sounds of spinning blades that remove excessive humidity. Moreover, you don’t want to disturb your neighbours, especially in the mornings and evenings. That’s why noise level should be one of the most important specifications you consider before deciding on the fan model you’re going to buy. 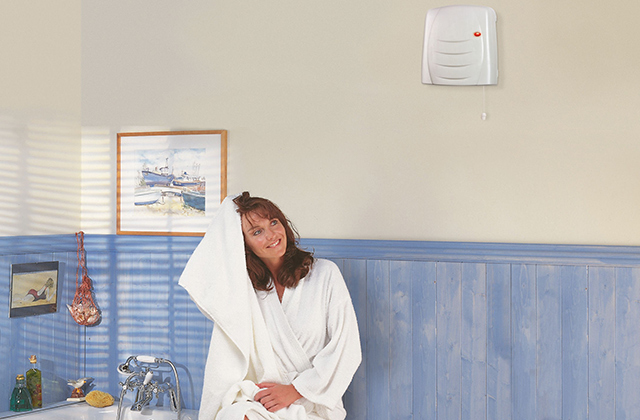 Adjustable timers allow you to control the operating time of your bathroom fan. You can set different intervals at which your fan will turn on automatically as well as the shut-off time so it doesn’t work when it's not needed. This smart option not only makes the use of a fan convenient but also helps you save money on electricity bills. Humidity sensors give you the option to choose preferable humidity levels. Thanks to this handy feature, your device will work until it reaches the chosen level to provide a pleasant atmosphere. A lot of fans have different waterproof levels. It’s a sensible decision to choose such devices since their waterproof qualities will prolong their service life. The size of a bathroom fan. Although the majority of the fans have the same duct diameter, they differ in external dimensions so you can choose a bigger or smaller model. It isn’t crucial to the functionality of a device but will influence its look in your bathroom. A bathroom fan shouldn’t be used instead of a kitchen extractor even if you have a small kitchen. Although some manufacturers say it’s possible to use a bathroom fan in a kitchen, we wouldn’t recommend you to do it. The thing is that bathroom fans are aimed at removing moist air only while in the kitchen, air is mixed with oils from cooking that will clog the fan system fast. That’s why it’s better to buy special kitchen extractor fans if you need to use them in a kitchen. What a pack with a shower extractor fan usually include? As a rule, the manufacturers include a fan and instructions in a package. Sometimes, you’ll also find the screws needed for proper installation. 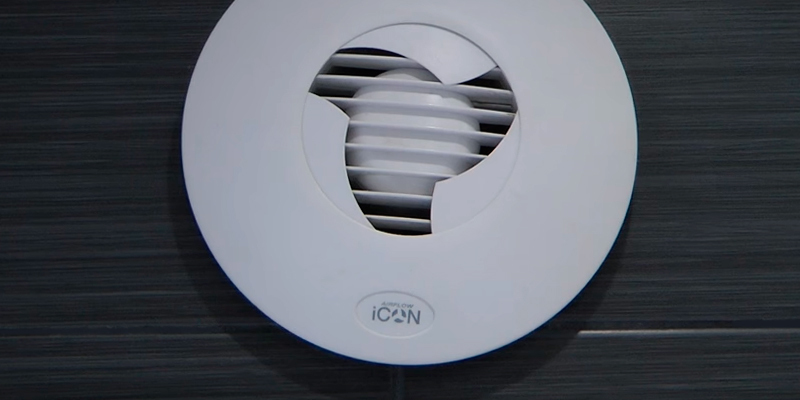 If you buy a new device to replace an old one and the air ventilation system in your bathroom doesn’t need to be changed, you don’t need to buy any additional accessories to start installing and using your fan. Everything you’ll need is a screwdriver and several screws to attach a fan. But if you haven’t had a fan before, you’ll also need to buy a wall sleeve duct and an outside cover. Where exactly in a bathroom is it better to place an exhaust fan? The closer you install a fan to a tub or a shower cabin, the faster it will perform its task. If you’re looking for a fan to place into a WC, it’s obvious that it should be placed right above a toilet. It’s also important to install a fan so that its duct opening leads outside. It’s possible that your fan might drip but it doesn’t mean that it doesn’t work properly. You might notice dripping because of cold ducting. The thing is that hot air extracted from a bathroom and cold material of duct sleeve create temperature variation that leads to condensation. To solve this problem, it’s recommended to insulate a duct sleeve. Another possible reason for this unpleasant occurrence is cold climate. If snow and ice build up where your outside vent system is, warm air travelling through a duct can cause it to melt. To prevent this situation, you can use a backdraft damper. The possible reasons for your exhaust fan malfunction. Before claiming that your device doesn’t operate at all, you want to check something. It might not work if it isn’t powered. So, first of all, it’s important to check whether circuit breaker is on and fuse isn’t blown. If everything is OK with power, check the wires of a fan itself. They should be properly connected as it is shown in a user’s guide. If you’ve checked these and everything is right, then, probably, it’s time to take your fan to a service centre. Why mirrors and windows remain fogged up even if there is no more humid air in a bathroom. As a rule, condensation disappears from surfaces, including mirrors, windows, and walls longer. The main reason is long twisted duct sleeve that slows down not only warm air removal but also fresh air penetration into your bathroom. That’s why it’s important to think about fan placement thoroughly so it has a short and straight duct sleeve. Q: Does it matter where exactly I install a bathroom exhaust fan in a room? A: This depends on the fan. Some are meant to be installed as "through-wall", whereas others are meant to be installed specifically in a ceiling. Many models can be installed in either place. It's always best to check the specific model to see where it is meant to be installed and compare it to the most suitable location in your bathroom. Q: What exactly is a bathroom exhaust fan? A: A bathroom exhaust fan is a home appliance meant to be installed in a bathroom for the purpose of providing proper hair ventilation, as well as for removing excess humidity. Q: Does my bathroom need an exhaust fan if it doesn't already have one? A: Most bathrooms can really benefit from having an exhaust fan, as they tend to be smaller rooms where excess humidity can build up rapidly due to running water. Excessive humidity that's left in a bathroom can lead to mildew and mold building up, so keeping the bathroom ventilated is very important. They can also help to remove bad odours. Q: Can I install a bathroom exhaust fan by myself, or does it need to be installed by a professional? A: Bathroom exhaust fans are not the easiest things to install, especially if your bathroom does not already have a hole for one. However, they also aren't as difficult to install as many people think. Anyone who is good at doing home repairs on their own should be able to install one. However, if you lack either the proper knowledge or experience or don't have the right tools, there are plenty of professionals available who can install it for you for a reasonable price. 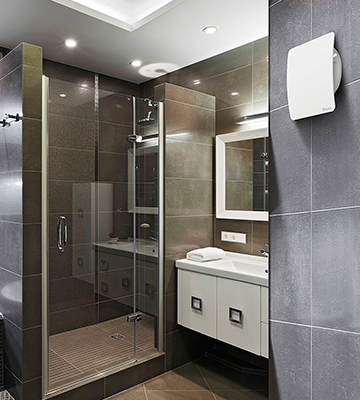 Q: Are bathroom exhaust fans only suitable for bathrooms, or can they be installed in other types of rooms? A: This depends entirely on the model. Lower powered models tend to be ideal only for small bathrooms or other similarly sized rooms, but higher powered models are often labelled as being general purpose, which means they are powerful enough to vent larger rooms, such as garages or workshops. Q: Most bathroom fan models measure their power in "CFM". What exactly does this mean? A: "CFM" stands for Cubic Feet per Minute, which measures how many cubic feet of airspace in a room can be completely vented per each minute of use. Obviously, the higher the number, the larger of a room that the fan is suitable for. Q: Many bathroom fans show a measurement of loudness in "Sones". What exactly does this mean? A: A "Sone" is a unit of measurement for measuring the perceived loudness of a device. It is a different measurement than "decibels", which measures the intensity of a sound. Sones are often used to measure the loudness of any type of fan. In general, the lower the number, the quieter it is. Q: What extra features do I need in a bathroom exhaust fan? A: Any extra features will depend on your own preference. 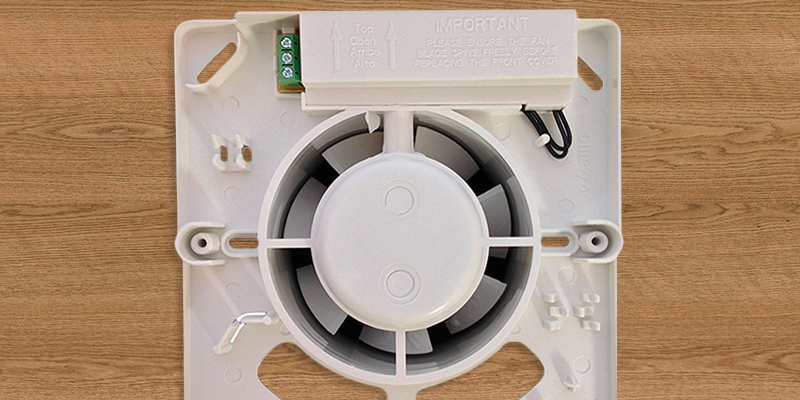 Many fans include very few extra features, whereas some may include things lick back draft suppression or overheating protection, so it is best to weigh the extra features of a fan against what your exact needs for it are. 1. John Riha Choosing a Bath Ventilation Fan, HGTV. 2. How to Choose a New Bathroom Fan, Plumbing Supply. 3. Bathroom Fan Buying Guide, Lowe's. 4. How to Choose the Right Bathroom Vent Fan, SFGate. 5. Ask Umbra Should I Run the Bathroom Fan While Showering? Grist. 6. Nick Gromicko, Kenton Shepard Bathroom Ventilation Ducts and Fans, InterNACHI. 7. 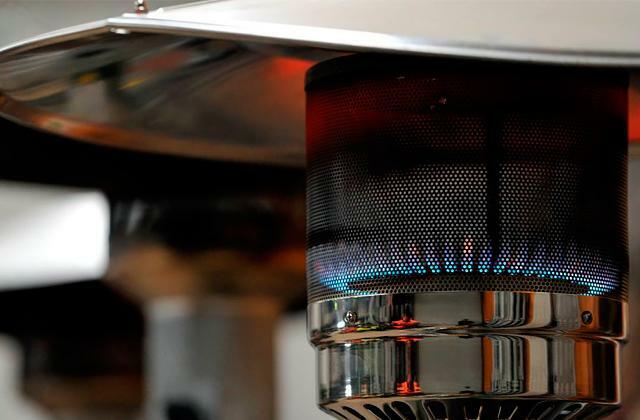 5 Benefits of Installing an Extractor Fan, DoItYourself.com. 8. Bathroom Exhaust Fans, Green Building Advisor.